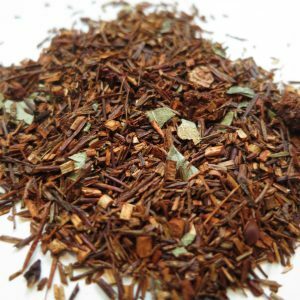 Rooibos Chai – Banff Tea Co. Both sweet and spicy. 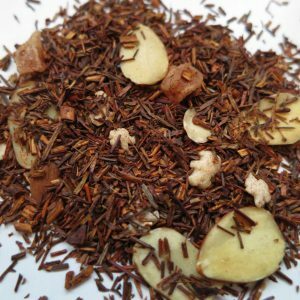 this Rooibos Chai blend is mouth watering and warming to all the senses. Country of Origin: South Africa, India. 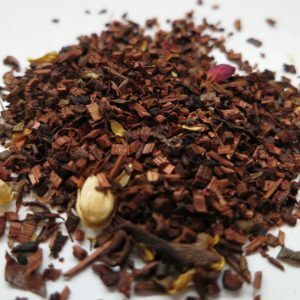 Ingredients:Rooibos, cinnamon, cardamom, ginger pieces, star anise, orange peel, peppercorns and cloves. 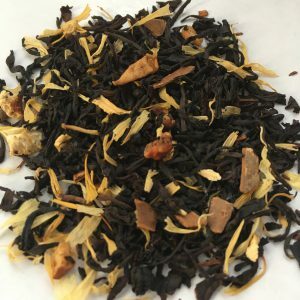 Steeping Suggestions: Use one to one and a half teaspoons (3g-5g) of tea per 6oz cup of water. 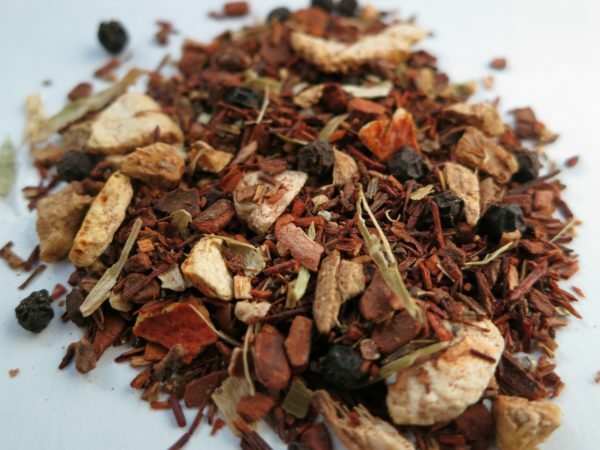 Steep at 100°C (212°F) for 3-5 minutes.